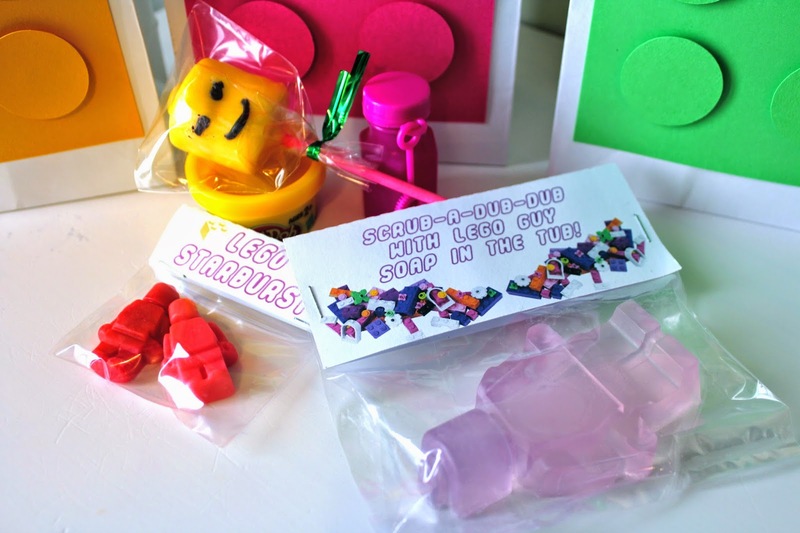 This is my 4th and final post chronicling the fun of Claire's Girly Lego 4th Birthday Party! 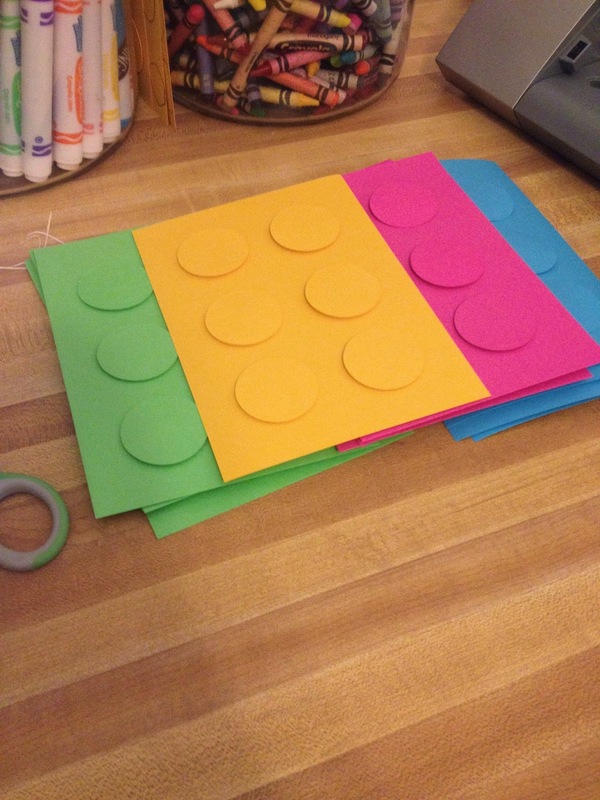 To make the Lego party favor bags, I used the 4.5 x 6.5 paper from Hobby Lobby that I also used to make the birthday banner. I cut 6 circles out of each piece strategically so that I would have those extra pieces to tape on the walls and hang on the Christmas Tree. We used sticky foam to attach the circles to the paper and then we used glue dots to stick the paper Legos on to plain white paper bags. I made the name tags with my Silhouette and the Lego Thick Font. 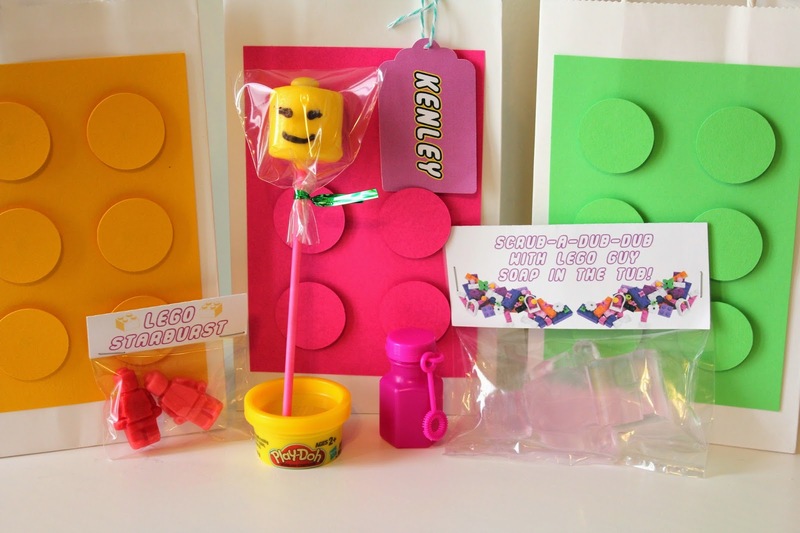 We filled our party favor bags with an extra Lego Head Marshmallow Pop, a Lego Soap, Lego Starburst, a mini Play-doh, and a mini bubbles. 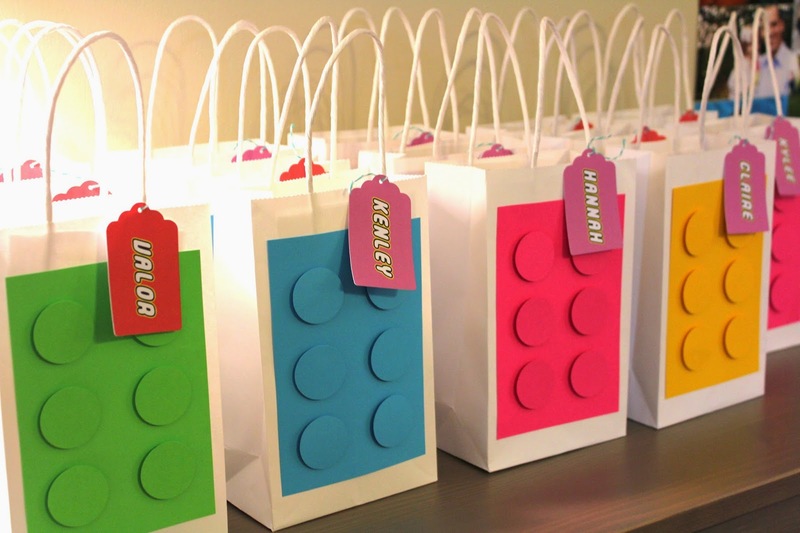 During the party the kids were able to add their coloring pages and the Lego guys that they made to their party bags. 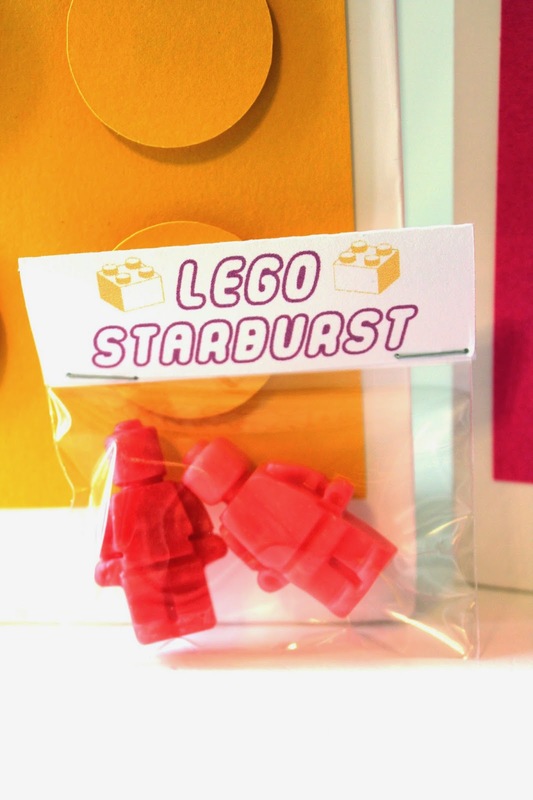 To make the Lego Starburst we melted a few like colored Starbursts in the microwave until they became a Play-doh like consistency and then we pressed the dough into these molds from Amazon. Work in small batches because they harden quickly! For these to work, you have to microwave them. We tried just softening them in our hands but those ones didn't harden enough to keep the Lego shape. I made some simple tags for them with my Silhouette software's print and cut feature and the Lego Thick font! These Starburst were definitely a hit with both the kids and the adults! 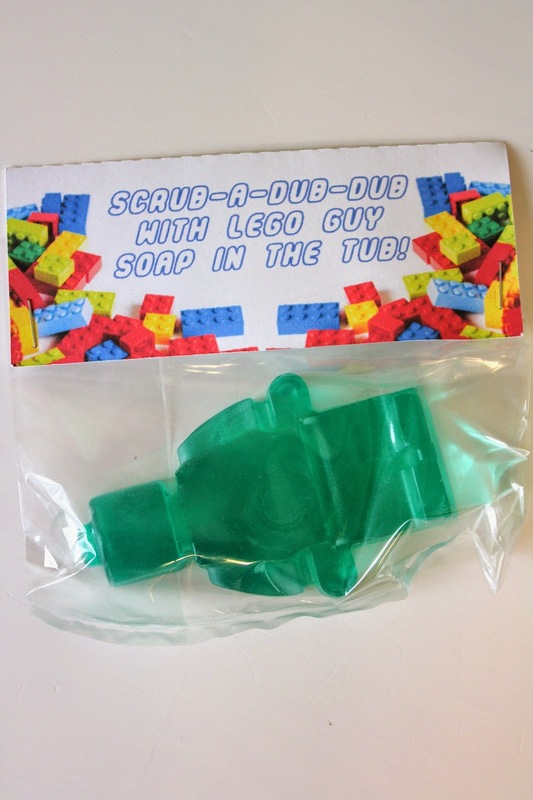 I used the large Lego guy mold to make soap with Melt-n-Pour Clear Glycerin Soap from Michaels, food coloring, and a touch of Coconut Lime Fragrance Oil. I made a bunch of different colors so each kid got a different color. I also made two different tags. 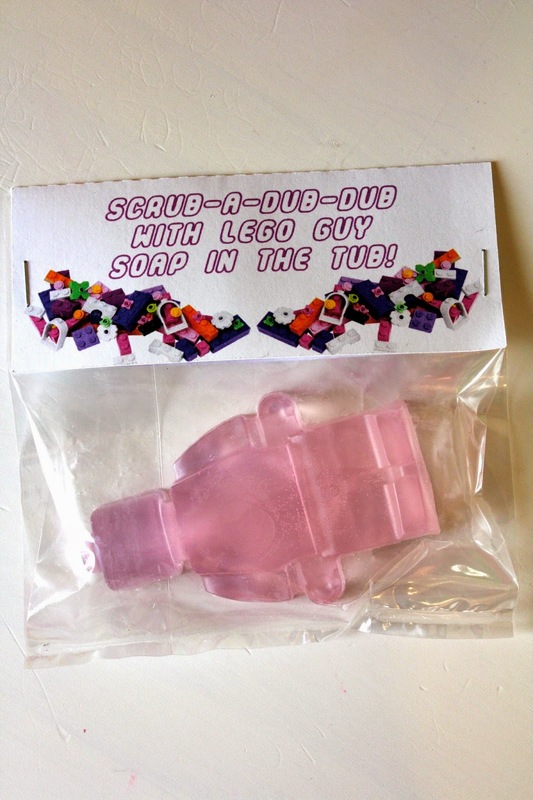 Here are some links to my previous Lego party posts! I LOVED this party! 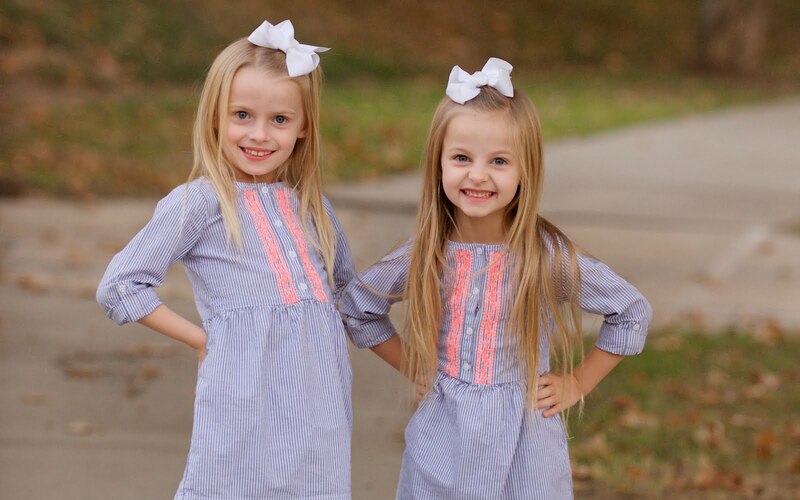 It was so fun to throw and Claire absolutely loved it too!